BGP deals with large BGP peers by using a number of different scalable solutions, the community attributes, and peers groups which are covered in this lab are just two of these solutions. 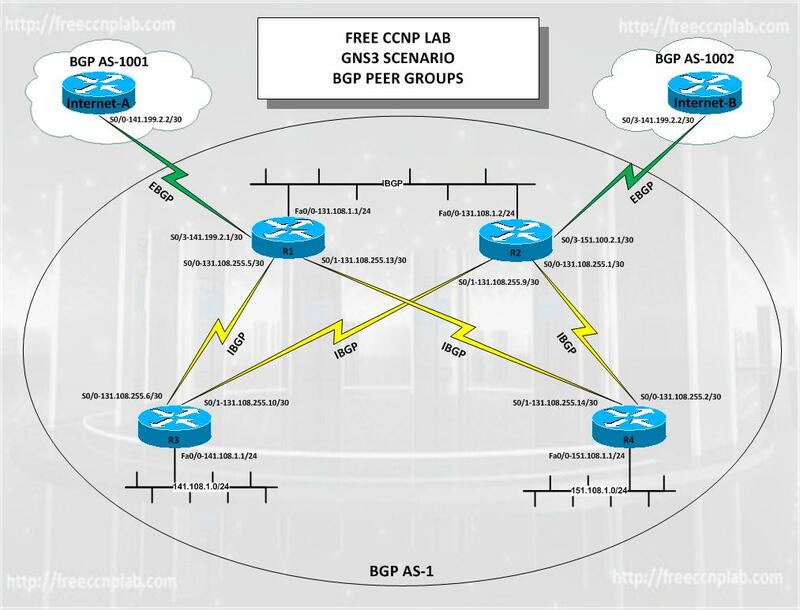 In this lab you will learn to configure a well-known BGP community and discover how BGP uses the community attribute along with peer groups to insure that IBGP is scalable in a large network environment. A community is a group of routers sharing the same property defined by a number within the range of 1 to 4,294,967,200 by using the set community (community-number). A peer group is a group of BGP neighbors sharing the same update policy. You can apply the community attribute to a remote BGP neighbor by using the neighbor command with send-community as shown here neighbor (ip address | peep group) send-community. Apply the community attribute to a peer group.